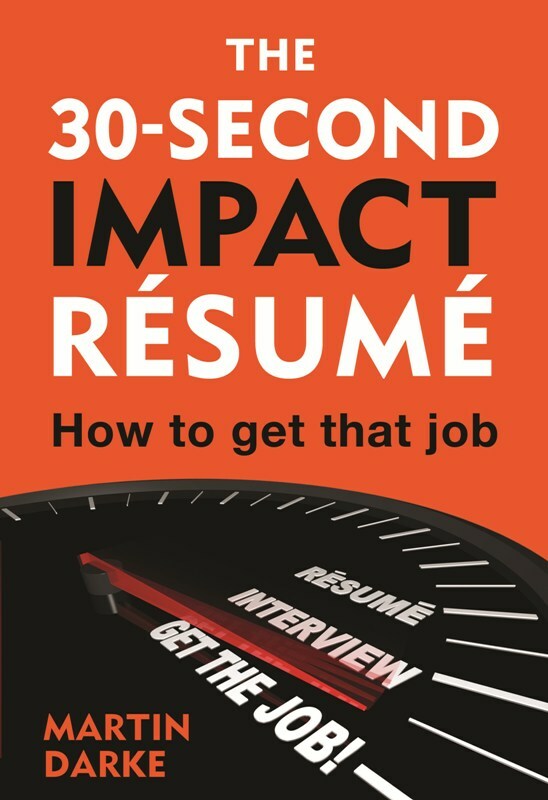 I am the author of The 30-Second Impact Résumé (published in December, 2011 and available on Amazon Kindle since 2012). I have considerable experience in recruitment for a reputable firm, have reviewed thousands of résumés, and I wonder why it has taken so long for such a high-profile individual (James Reed is the chairman of REED, 'Britain’s biggest and best-known recruitment brand') to produce something of this nature. It is only natural for me to purchase this book to see whether it adds anything to the subject matter and some conclusions on that topic follow. Seven seconds to assess a cv is, in my opinion, a dis-service to jobseekers who have put in a lot of effort to craft a cv in their quest for a new job. Reed claims that, ‘…..the honest advice presented here has been compiled from one-to-one interviews, surveys and countrywide workshops across REED’s network of recruitment consultants’. Assessment in seven seconds is largely based on reviewing a ‘personal statement’ of ‘up to 150 words’. I defy anyone to read 50, let alone 150 words, in seven seconds and make such judgements. This is wholly unfair on jobseekers. Why stress the need to write ‘personal statement’ on the cv? What else could it be, other than a summary? It’s a waste of words and takes up precious space and time (‘Every second counts’, writes Reed). So much more can be achieved with a simple descriptive heading as outlined in chapter five of my book. Next, the important subject of names, the first item on a cv. Reed writes, ‘So add your full name (first name and surname,……….)’. I couldn’t disagree more as I have discussed in chapter four of my book, using my own name, Jason Martin Darke, as an example. My PREFERRED name is Martin, and preferred names should always be used, in my opinion. Short-form names are also an option, particularly for people from other countries. It is surprising to me that Reed has made no reference to name discrimination and stereotyping, which has been an important topic for a while in recruitment, and one which I have expanded upon in chapter five of my second book, Career Ignition. How do they even get to the work history after seven seconds devoted to the personal statement? Reed goes on to mention words and phrases to be avoided such as ‘goal-driven’, ‘strong work ethic’ and ‘detail-oriented’ because they are clichés. He later refers to words which should be used, such as ‘committed’, ‘hard-working’ and ‘pro-active’ (written later without the hyphen). But what is the difference? Why are these superior words not clichés? Admittedly he suggests that these should be backed up by examples, but these examples are not going to be read in that seven seconds. Reed also devotes a chapter to crafting the ‘perfect cover letter'. I am not a big fan of cover letters, unless they are called for in a job advertisement. Do his recruiters actually read the cover letter? Recruiters will always read the cv first, and if the cv doesn’t actually pass the seven-second test then they won’t even read the cover letter. Reed also claims that gaps should be addressed in the cover letter, when he has already explained in chapter six that gaps should be explained in the cv. What is the point of this duplication? A cv with gaps will hardly pass the seven-second test. Chapter nine of my book tells you how to address gaps and include them on your cv. Most jobseekers have them. At least Reed has a preference for a reverse-chronological cv, but the templates on offer are much the same as many books on this topic which have been available for decades. Reed places great emphasis on spelling and grammar and the need for proofreading and ‘attention to detail’, advising that, for numbers, 'One to ten goes in letters, with anything after that in numerals'. 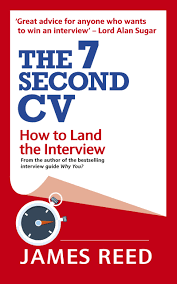 'The 7 Second CV' on the cover of the book differs from 'The 7-Second CV' on the title page. The text within the book refers to a 'seven-second recruiter test' and 'seven-second test', which is really what the book is about and hence the title of the book is misleading. Reed should practise what he preaches and it is surprising that the proofreaders at Virgin Books did not pick up these obvious inconsistencies. In conclusion I ask again whether this book adds anything helpful. I don’t think so, which is why I do not rate it very highly. If anything it can only put more pressure on jobseekers to satisfy an unreasonable ‘seven-second recruiter test’. It seems to me that Reed sets his readers an impossible task. As a footnote, in case you're wondering, and as discussed in chapter one of Career Ignition, a 'cv' is exactly the same as a résumé, though most people already know that. As a further footnote, I am currently unable to post this review on Amazon due to their 'eligibility rules'. Believe it or not, despite the fact I have purchased many books on Amazon, due to the fact I purchased this one through a gift card rather than using a debit or credit card, I haven't spent enough in the past 12 months. Bizarre!